Struggling to get greens into your diet? 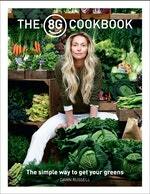 Dawn Russell is here to help with the 8G Cookbook: recipes that are family-tested, easy to make and taste great. Love The 8Greens Cookbook? Subscribe to Read More to find out about similar books.